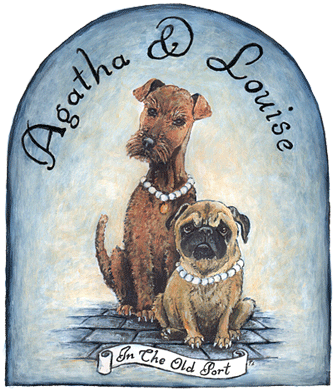 Dog Breed Gifts | Dog Collars | Agatha & Louise, Inc. Proudly Hand Made in Colorado, USA! Lead Free and Dishwasher Safe! Over 250 Available from Afghan to Yorkie! New Designs. Over 200 Emblems with Over 80 Dog Breeds Available! Proudly Made in the USA! Durable. High Quality.100% Satisfaction Guaranteed! Free Shipping on Stickers and Magnet Multi-Packs!